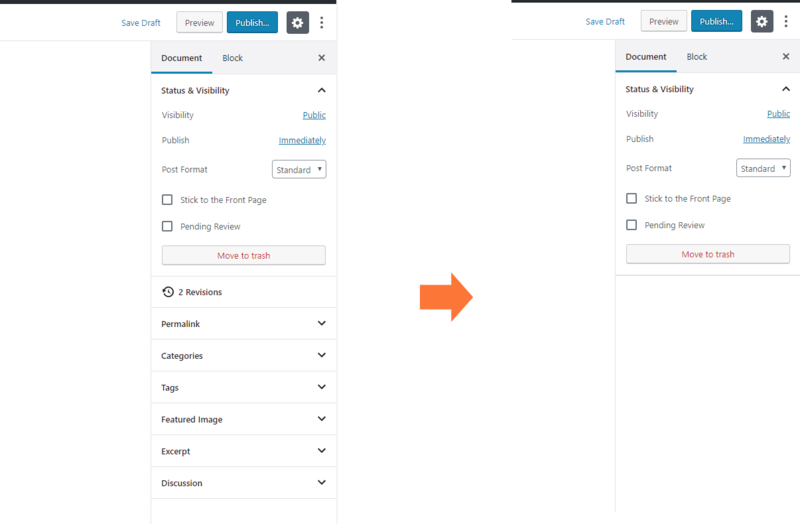 How to customize Post Edit or Post Add New of admin screen. You can be able to hidden/remove/rename the title of meta boxes. 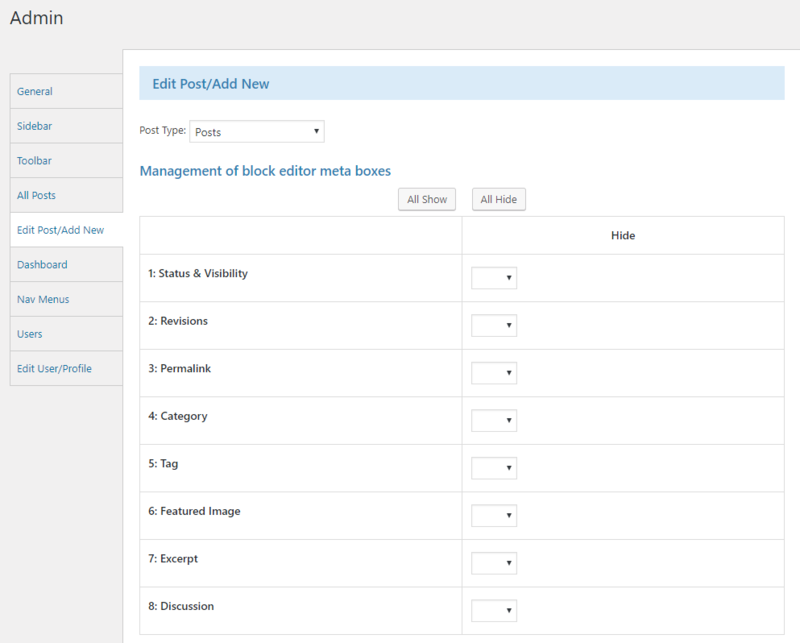 Block editor meta boxes customize is possible to hide the meta boxes of right sidebar, meta boxes recognition is not necessary reload because all meta boxes is static items at now. Classic editor meta boxes customize is possible to hide or remove or change the meta box title, meta boxes recognition is necessary reload post edit screen because all meta boxes is dynamically items. Note: If you get problem with meta boxes customize, it most cause of problem is delete the meta box. Some themes is not have consider delete the meta box, so please change the hide from remove meta box. Change the post edit messages. Change the post edit Editor(for WP ver 5). Hide Add New is next to page title name of post edit. You can not input/change the post title. You can change the title placeholder from Enter title here. Restrict the post title to Post ID. If you use, recommend hide with Hide Title. Hide Permalink to current post link. Hide Edit button of change permalink. Hide Content editor. If you use, recommend use with some custom fields meta boxes. Post edit users is not be able to Drag&Drop to meta boxes. Post Content editor is restrict the editor. Some items is can be hide.